I want share a recipe of my healthy breakfast this morning . 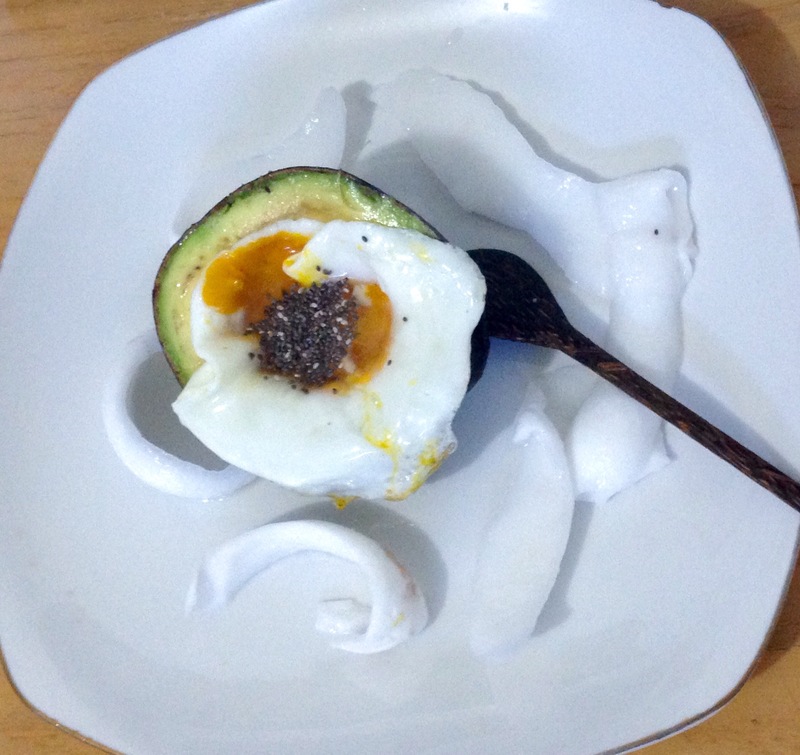 This is avocado served with coconut meat ,egg and chia seeds and honey as topped. Add avocado on the plate, put an egg on avocado ,pour honey,parsley and sow chia on the egg. Add coconut meat .